Jan McLucas, Labour Senator for North Queensland, dropped in for a visit and to have a look around QRAM and the Black Star network. The Senator had many questions about the operations of the network. Having a teaching background, she was really interested in our community training program and the outcomes. She was also interested in the Closing the Gap projects, local programming, the regular updates of news, weather and emergency services announcements. Senator McLucas is well known in the North Queensland area, having been born on the Atherton Tablelands, training as a teacher and then beginning a political career as a councillor in Cairns. One of her jobs is to work with Simon Crean and the Office of Regional and Local Development to ensure that the region has a strong voice in Canberra. QRAM’s Manager Jim Remedio took the oportunity to talk about our strategic plan to roll out new services, which included services to Yarrabah, Mareeba, Mossman, Coen, Lakeland, and Laura. We explained that the new services would help plug the Black Spots in transmission of services to people on remote towns. We also raised the issue of AM services to fill the Black Spots in the Cape and Gulf . Jan was interested in the Black Star network and the innovative way the QRAM hub transfers the data over the broadband wide area network directly to the computers in the network. 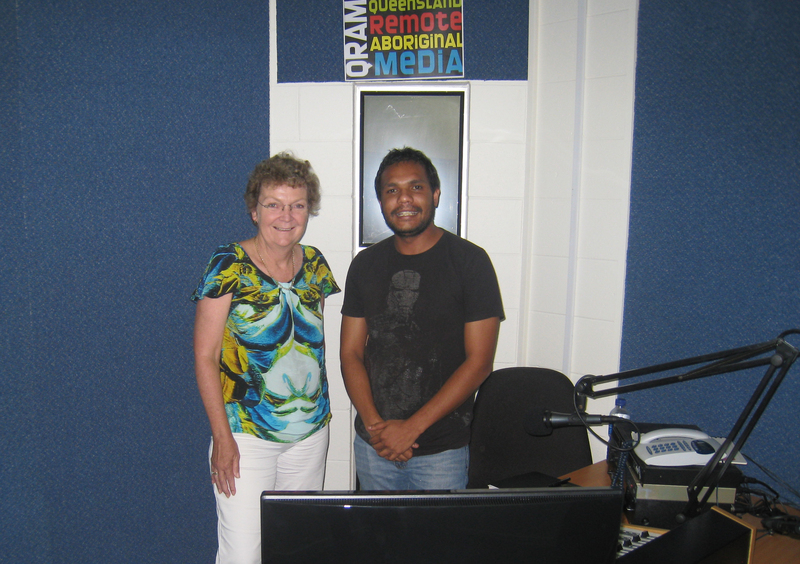 She was given a tour of the network stations by Gilmore Johnston and was able to look directly at the stations on the network, and praised the work that QRAM was doing in the remote communities.